The X-Men are basically a mutant black ops team that carries out missions throughout the globe for the benefit and future of Mutant-kind. 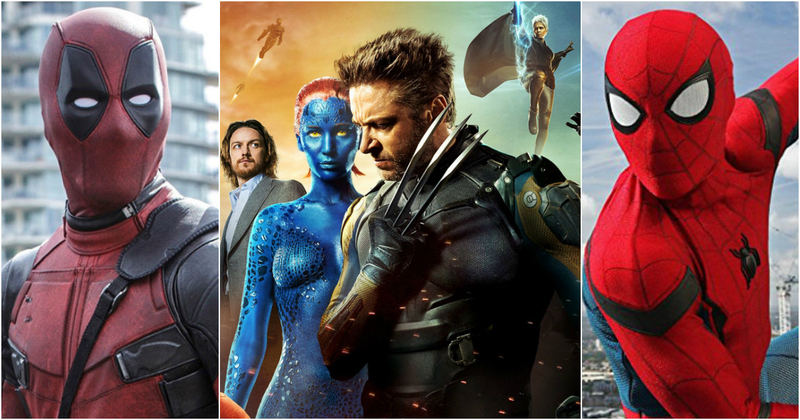 Since its inception, many have been a part of this highly popular superhero group. But some of its former members are so famous by themselves that it’s a wonder people never knew they were once an X-Man. 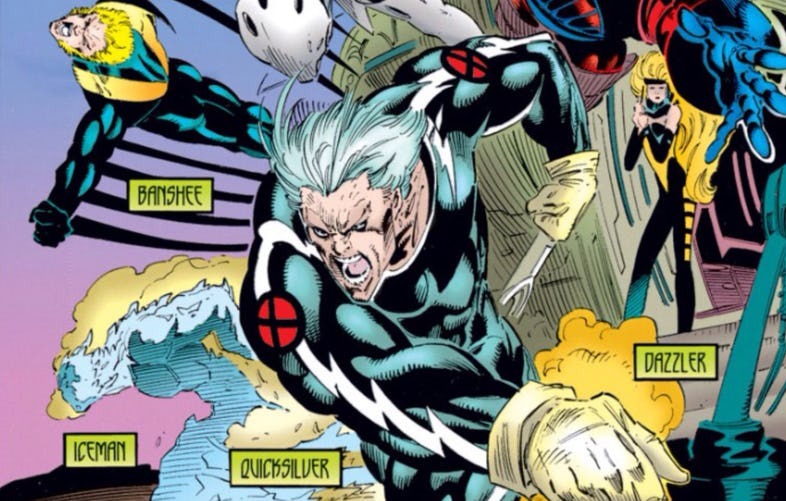 Believe it or not, Quicksilver became a superhero after joining the Avengers in the comic books. Before that, he was a member of the Brotherhood of Evil Mutants. His tryst with X-Men came after his wife and kid died during the ‘Onslaught Saga.’ He also was the leader of the X-Men in Age of Apocalypse where he died fighting Apocalypse himself. The Avengers’ resident Witch has almost always been affiliated with the Avengers. She, like he brother Quicksilver, also used to be a member of the Brotherhood. 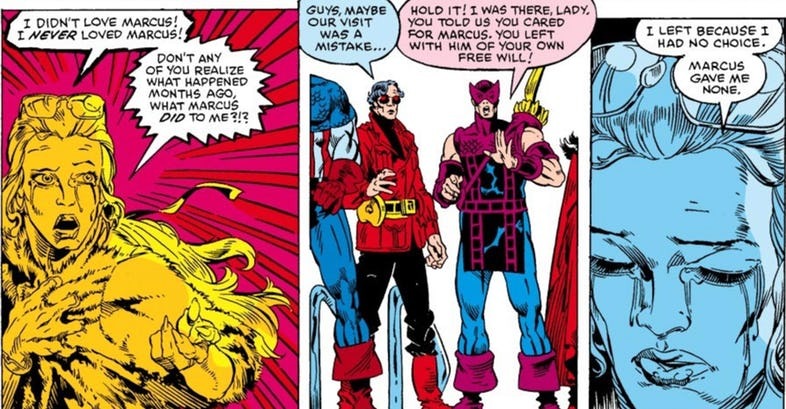 In the Age of Apocalypse saga, Scarlet Witch was a member of the X-Men under her father Magneto’s leadership. Domino is the partner in Crime of Cable and the highest-ranking member of the X-Force after him. While most of her adventures have been with Deadpool and Cable, she once was part of the security detail along with Storm, protecting the Mutant Kingdom of Utopia. Captain Marvel was once kidnapped by a villain called Marcus. Marcus was once obsessed with her. When Ms. Marvel found herself out of limbo and out of Marcus’ crutches, it was the X-Men that gave her refuge. With the team, Ms. Marvel had lots of adventures even though she wasn’t a mutant. When the mutant sanctuary of Utopia was created, all mutants were given invitations including the Merc with a Mouth. Cyclops and Logan were reluctant but Deadpool still joined the team. 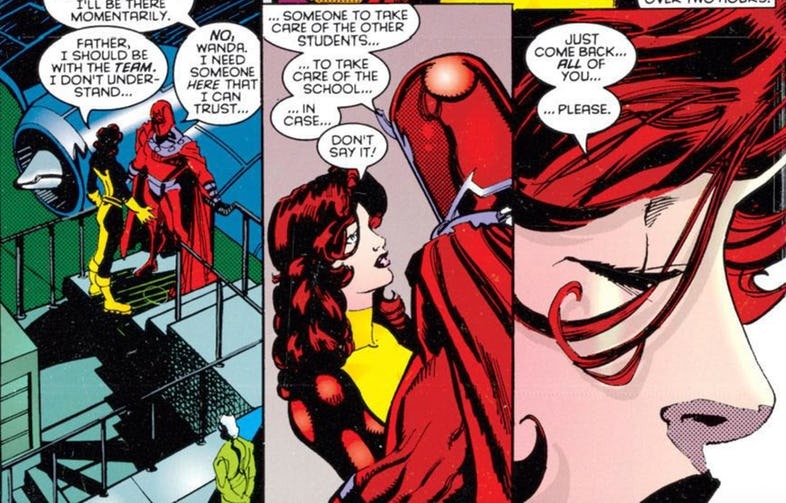 Realizing that he will never be accepted by the members, he carried out a lone wolf mission and fought the X-Men which made the team look like heroes in front of the world. Peter Parker is a ‘mutate’, not a mutant. But he is also a good friend of Wolverine. So when Logan asked him to identify the mole within his mutant school, Spiderman became the X-Men’s younglings’ Guidance Counselor. 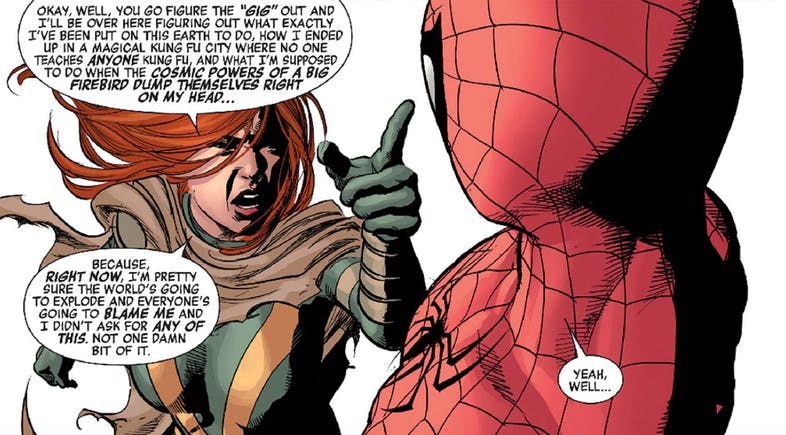 He even once trained Hope Summers, the host of the Phoenix Force at the time. Sabretooth has an extremely fearsome reputation as Wolverine’s greatest enemy. But he has also been portrayed as a good guy in the comic books. 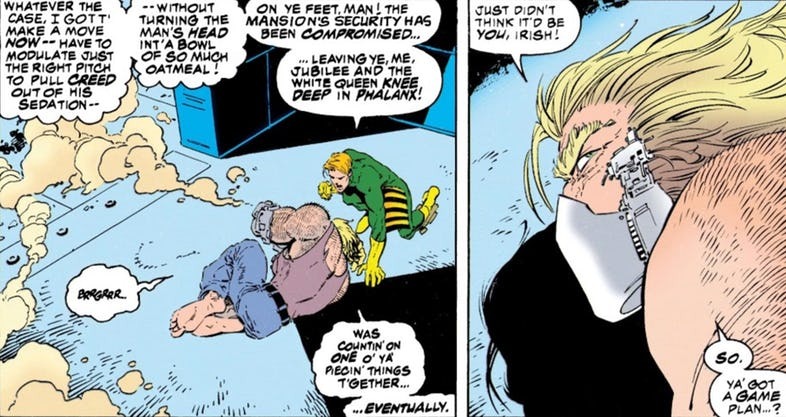 Sabretooth became a member of the X-Men when Professor X telepathically found out that Sabretooth regretted each and every death by his hands. He also was a member of X-Force, an offshoot of the X-Men. Molly Hayes is one of the core members of the Runaways. Her primary ability is Super Strength. As she is always on the run, Molly could never be a part of her favorite superhero team the X-Men. 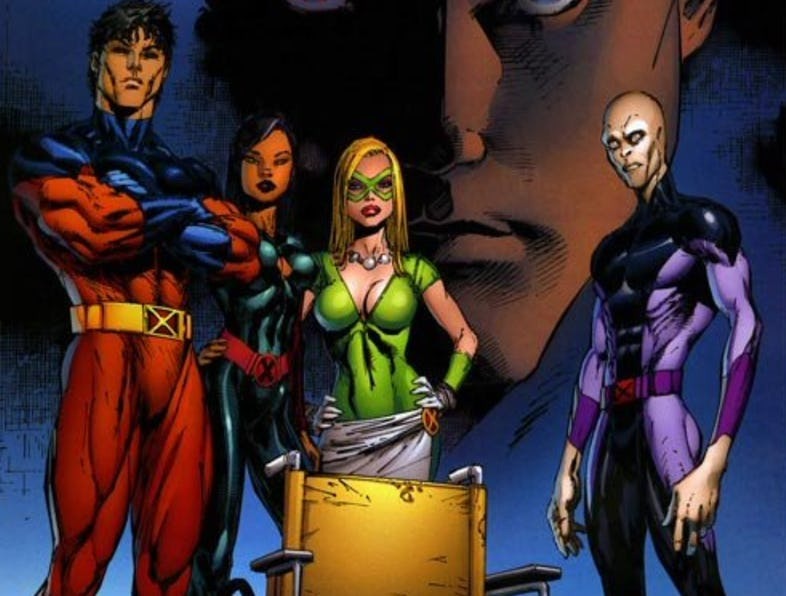 But once, a future X-Men team popped up with Molly as a member. While they were seen trying to help the X-Men catch some time-displaced imposters, it was only later found out that the team itself was the band of imposters from the future. Namor is a mutant but he was never associated with being a part of the X-Men. In the ‘Dark Reign’ saga, Norman Osborne hires Emma Frost and Namor into a new version of the Avengers. His plan backfires when Emma and Namor betray Osborne and join the real X-Men. Namor was still a good guy through and through. Radiation exposure can do wonders (in the comic books). It can give superheroes fantastic superpowers. It can also turn an island into a living entity. The mutant island of Krakoa came into being when radiation mutated its ecosystem and turned it into a singular hive-mind organism. Krakoa was the first mutant Xavier detected. He sent a team consisting of Petra, Sway, Vulcan, and Darwin to inspect it. Petra and Sway died in the mission. Darwin, in a bid to save Vulcan, transformed himself into living energy that Vulcan absorbed and escaped from the island. Professor Xavier, ashamed of himself, decided to erase the events of X-Men: Deadly Genesis from the minds of everyone on Earth. Black Lightning Season Premiere Introduces Green Lantern’s Sister!! !